YouTube is the biggest entertainment search engine around the web with a collection of videos and music from almost every country. Due to its popularity people also started uploading music to YouTube. There are many different solutions and methods for downloading files from YouTube but what if you just want rip audio from YouTube. 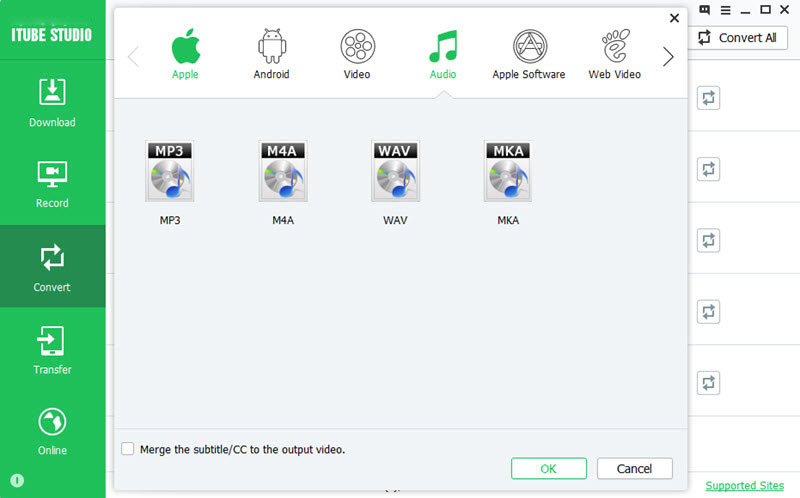 Here this article will show you some tips on how to extract audio from YouTube video on Mac OS X (macOS Mojave, High Sierra, Sierra, EL Capitan, Yosemite, Mavericks, Maountain Lion, Lion, Snow Leopard) and Windows 10, Windows 8, Windows 7, Windows XP and Vista. 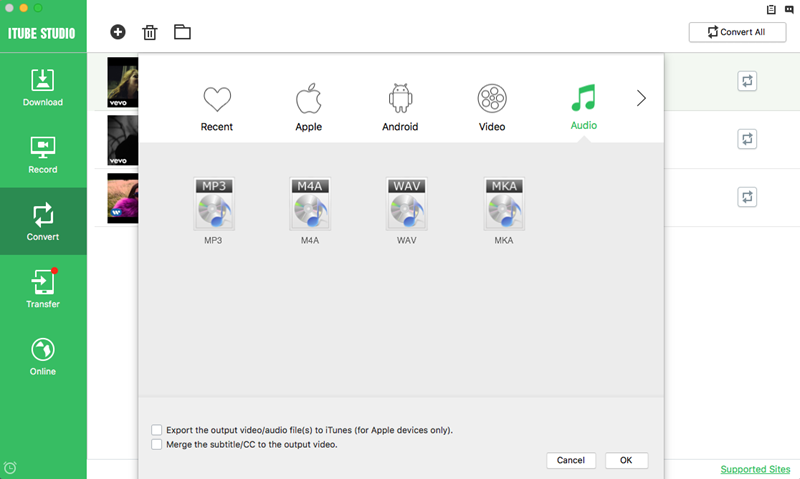 To save audio, you first need to download that particular video. There is no option provided by YouTube for downloading the video but you can search for a reliable YouTube audio ripper to do that. iTube Studio for Mac is one of the best and most efficient ways of downloading videos and ripping audio from social media and video-sharing sites. This program comes with the conversion function that allows you to change the download files to MP3, M4A, WAV and more. It is so simple that a kid can use it. 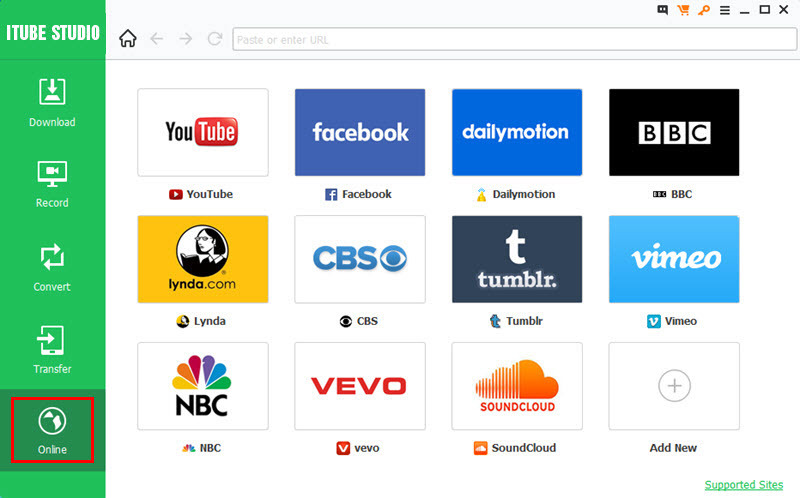 Download videos and music videos from 10,000+ sites. Batch download videos and save computer energy. Convert videos to video and audio format. Download videos to iOS and Android devices. 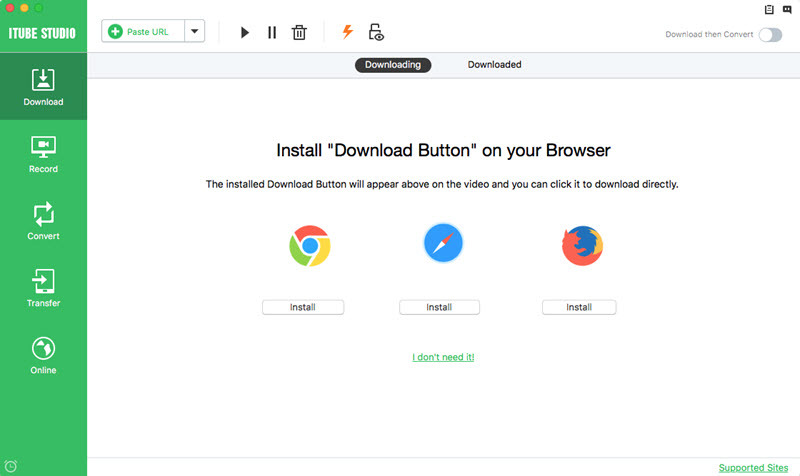 You just need to one click the "Download" button and follow up prompt steps to finish installation. After the program has been installed on your Mac, it can run automatically. When you play YouTube videos on your browser like Safari or Chrome, the program provides three ways to grab videos. 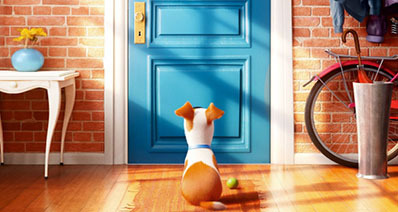 The first one is to capture by clicking the appeared "Download" button on video window shown as below picture. The second one is to capture by dragging the video URL to the ripper. 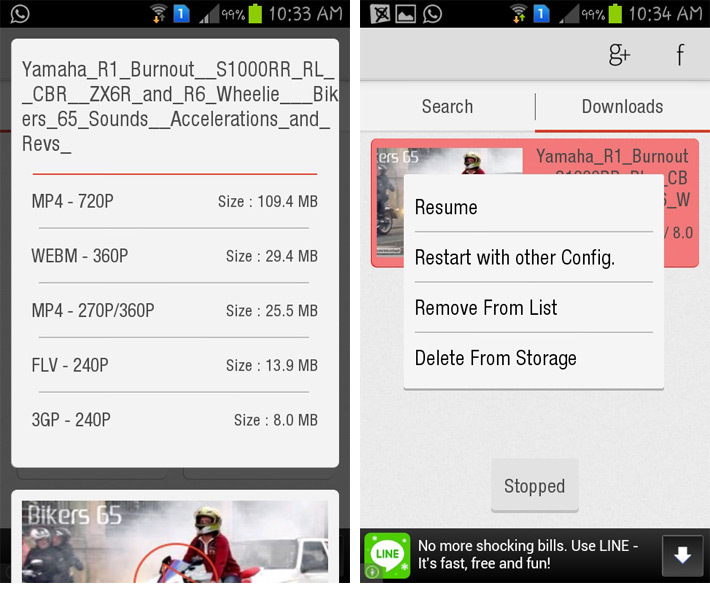 The third one is to capture by copying video URL with pressing the "Paste URL" button on main interface of the program. Note: Click "Downloading" tab in the "Download" menu of the audio ripper, you can view the download situation. After download finished, you can view the files in "Downloaded" tab. If needed, you can manage the downloading files, like pause or delete. After the video is downloaded, in the "Downloaded" tab video list, click the "Add to Convert List" on the right to import videos to "Convert" menu. Turn to "Convert" menu, click the "Convert" icon on the right and you will get the pop-up window with output format options. Click on the "Audio" tab to choose an output format you want. Lastly, click "OK" to start ripping YouTube audio. For Windows PC users, you can use the iTube Studio for Windows version. It is not only used for ripping audio from YouTube but provides a diverse range of functions. You not only can download files in any file format including High definition videos, but also can convert the video files directly to other popular formats or formats to fit apple devices. One of the best parts of using audio ripper for PCs is that it is easily integrated with popular web browsers like Firefox, Internet Explorer, Safari and chrome. 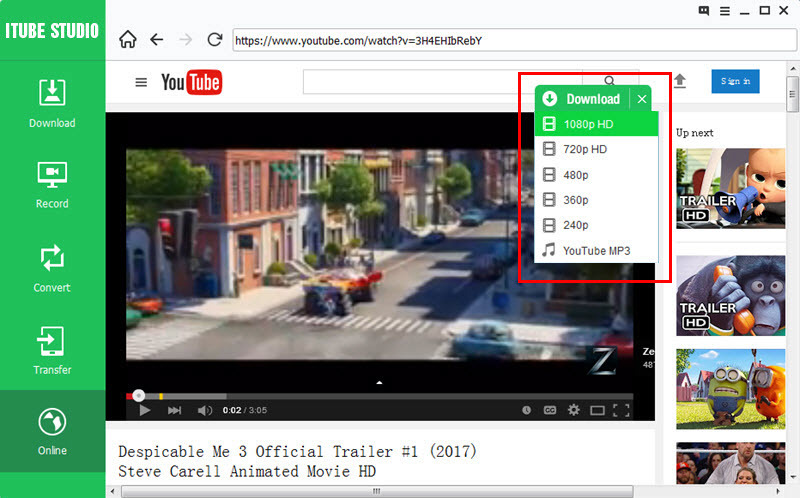 You can directly download a file using your browser. This Windows audio ripper comes handy for downloading videos and audios from a variety of sites like Facebook, met café, YouTube, MySpace etc. After you download the program, launch it. This program comes with a build-in browser so you can directly go to the site to find your favorite videos. Click the "Online" menu on the main interface, and go to youtube.com to find the video you want. When you play the video, you can see a "Download" button on the video window. Directly click on the button and select the video resolution you need. The video will be captured by the program. You can also copy the video URL or drag the URL to the program to grab the video. When you finish downloading the videos, you can click the "Downloaded" tab to view the video list. And you can click the "Add to Convert List" icon and go to "Convert" menu, select the video and click "Convert" icon next to it, choose the output audio format you want to start ripping audio from YouTube. If you are looking for a simple and straight forward way to rip audio from videos, iTube Studio is the best solution. Just take a trial.